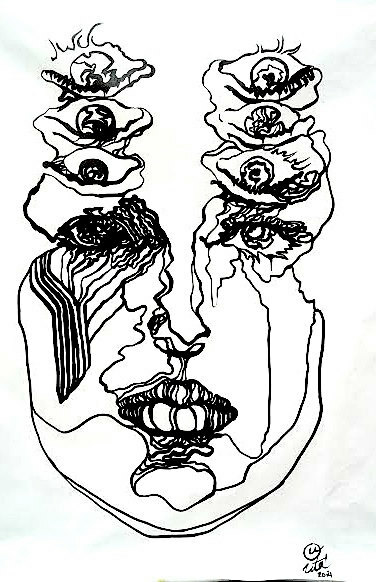 By Uta Brauser, 18″ x 18X Unstretched. The face I drew is someone from an image search, in my male portrait series. This is an original painting with oil marker and acrylic on canvas. By Uta Brauser Oil ink on paper, 11.5″ x 16.5″, “skull femmes” series. 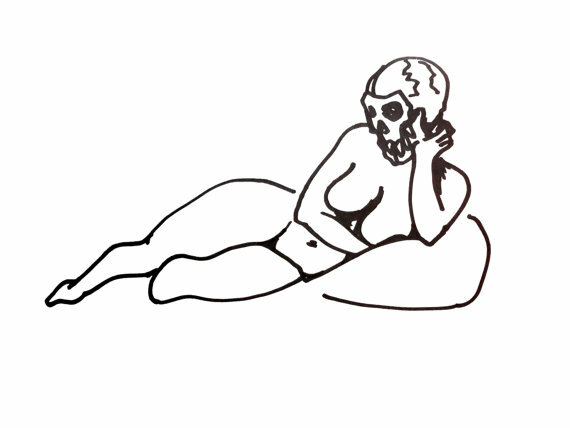 I started juxtaposing the skull with the softness of the female body. All people have a skull: it is our most permanent remain on earth. And it holds our brain. 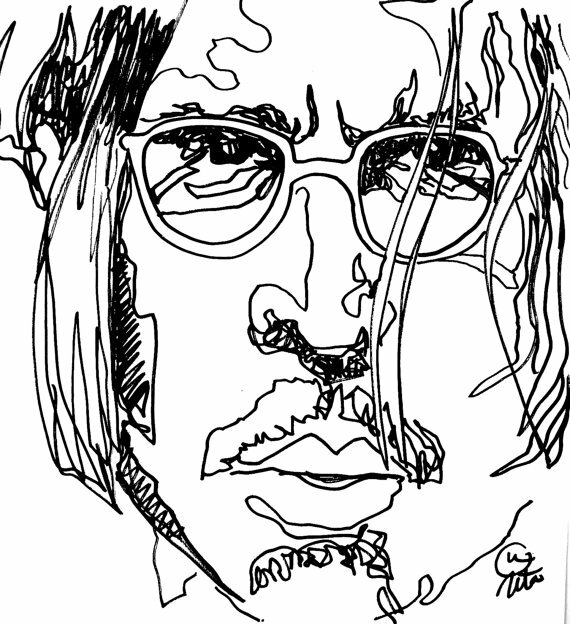 Male Portrait Series, Actor with Long Hair, Portrait by Uta Brauser, 18″ x 18″. 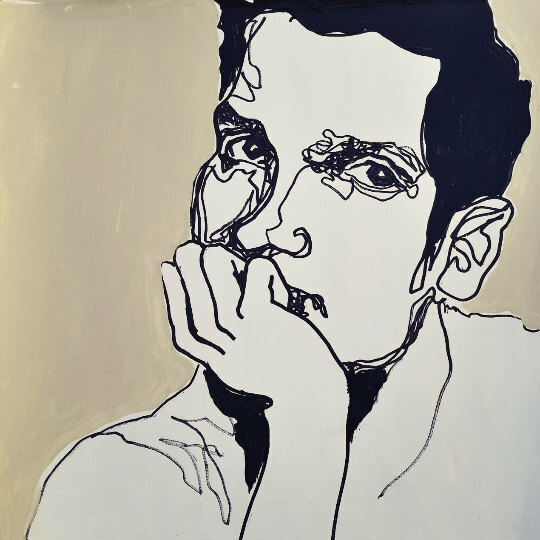 The face I drew is an actor in my male portrait series. This is an original painting with oil marker and acrylic on canvas by artist Uta Brauser, size 18″ x 18″un-stretched. The intensified stare represents an augmented intent, an increased energy and increased perception, the desire for conscious expansion of perception and visible reality. Painting by Uta Brauser, enamel and acryclic, a 6′ x 4′ canvas.